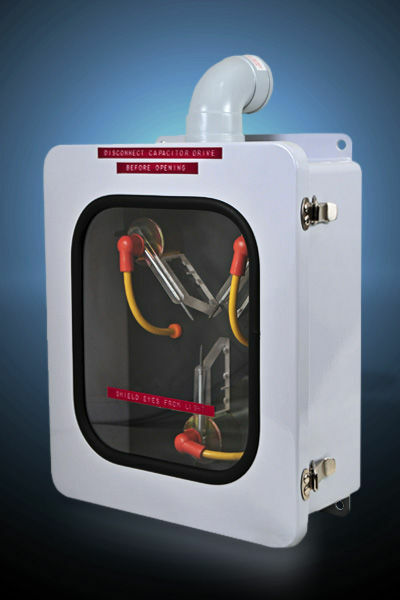 One of the hottest and most iconic prop replicas in film history, now fans have a second chance to bring home the star of 1985's Back to the Future - the Flux Capacitor! Back by popular demand with improved film accuracy, this Unlimited Edition features an upgraded non-strobe light design while delivering all the detail from the sold-out first edition. Replicas like this only come along a few times each century, so be sure to reserve yours today before you're "Out a Time"! Legal Notice: Entire contents trademarked (® or TM) and copyrighted (©) 1986-2019 by Things From Another World, Inc. and respective copyright and trademark holders. All rights reserved. Page rendered at 2019-04-19 17:56:03 in 0.266 seconds.